Ohio County farmers harvested 59.6 bushels of soybeans per acre last year, compared to Henderson County’s 53 bushels per acre. David Knopf is regional director of the USDA Statistics Services based in Louisville. 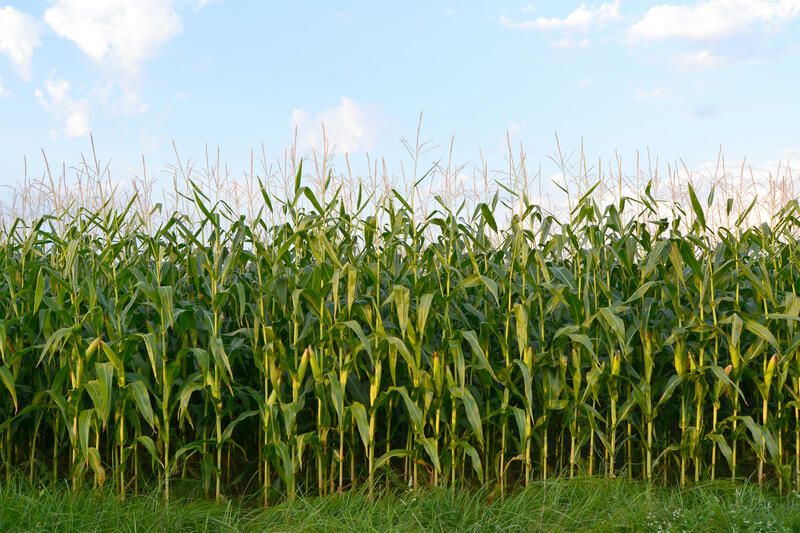 “Ohio County also led the state in the average yield per acre for corn as well, topping 200 bushels per acre and in 2018, it was the only county that reached that level,” said Knopf. He said about 75 percent of Kentucky’s corn and soybeans are grown west of Interstate 65. “That area from Owensboro down through Hopkinsville, and east and west of that line, that’s where a good chunk of the corn and soybeans tend to be grown,” said Knopf. He said that region is near the state’s poultry industry, so some of those crops are ground into feed for poultry, as well as livestock. Kentucky farmers have until April 5 to sign up with the Farms to Food Banks program if they want to sell produce that’s not considered ‘picture perfect’ enough for grocery stores. The Farms to Food Banks program is increasing its statewide outreach to farmers as planting season gets underway. Last year, 349 farmers from 64 counties in Kentucky sold surplus portions of their crops, as well as slightly imperfect produce, often called ‘ugly’ produce, to the Farms to Food Banks program. 'Ugly' produce may vary in size, shape or appearance from what grocery stores prefer, but the imperfect produce purchased for the program is equally fresh and nutritious. The U.S. Department of Agriculture reports that Kentucky soybean farmers harvested a record breaking crop last year, with 103 million bushels. That’s up one percent from the previous year. The increase was due mainly to more acreage, with 50,000 additional acres of soybeans planted across Kentucky last year. But that record harvest is facing market forces impacted by America’s tariff and trade disputes, especially with China. Some Kentucky soybean farmers are storing the beans, trying to wait until market conditions improve. Kentucky farmers will soon be getting crops reports they use for market information and to make decisions about spring planting. The U.S. Department of Agriculture office in Kentucky that does those reports was closed during the government shutdown, but now - it’s open. David Knopf is regional director for the USDA National Agricultural Statistics Service, based in Louisville. He said crop reports that were due out on Jan. 11 are now scheduled to be published Feb. 8. Knopf said the report on corn, soybeans and wheat that’s in storage is especially valuable to Kentucky farmers. Kentucky soybean farmers are expected to harvest a slightly larger yield than last year, but less than initially predicted. David Knopf is director of the U.S. Department of Agriculture's National Agricultural Statistics Service in Kentucky. He said the initial forecast for Kentucky soybeans was a yield of 57 bushels per acre this year. The current estimated yield is 54 bushels per acre, slightly above last year’s yield of 53 bushels per acre. Kentucky farmers planted nearly two million acres of soybeans this year. Knopf said about one-quarter of those beans have not yet been harvested. He said excessive rain over the past couple of months is one factor that’s reduced the quality and yield of this year’s crop.